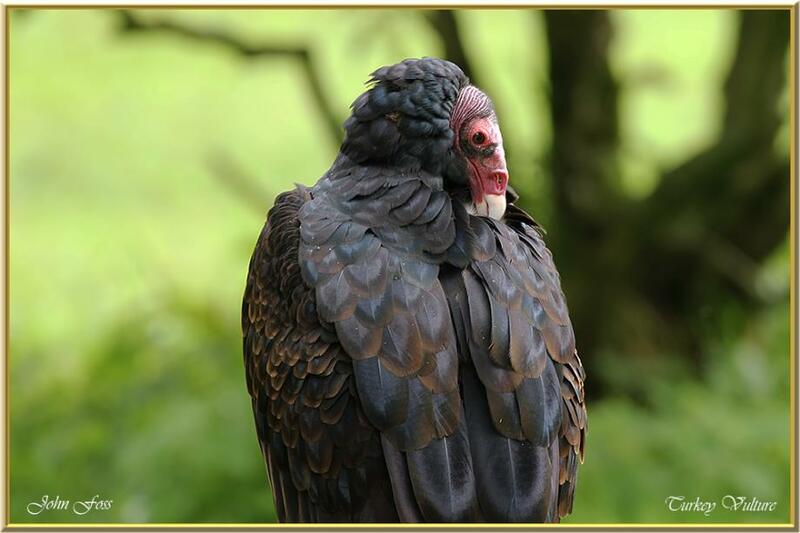 Turkey Vulture - or turkey buzzard. Ranges from southern Canada to the southernmost tip of South America. It feeds mostly on carrion. It can locate rotting carrion from the air by detecting scent. This is uncommon in birds, as normally birds have a poor sense of smell. They can soar for long periods of time using air thermals with infrequent wing flapping.